- Eating without judgement. Not only is it socially acceptable to eat every 2 hours, but it's enforced! I will miss that for sure! - Women are overly nice to me. I can't remember being called adorable pre-pregnancy very much, but now I hear it all the time. - Thanksgiving fell during second trimester. Combining thanksgiving and pregnancy is the ultimate combination. But, I actually had eyes bigger than my stomach and ended up throwing away 1/3 of my plate. - Lastly; finally being able to "look" pregnant. I didn't start actually looking pregnant until 23 weeks (5 1/2 months) or so and it's actually a relief. 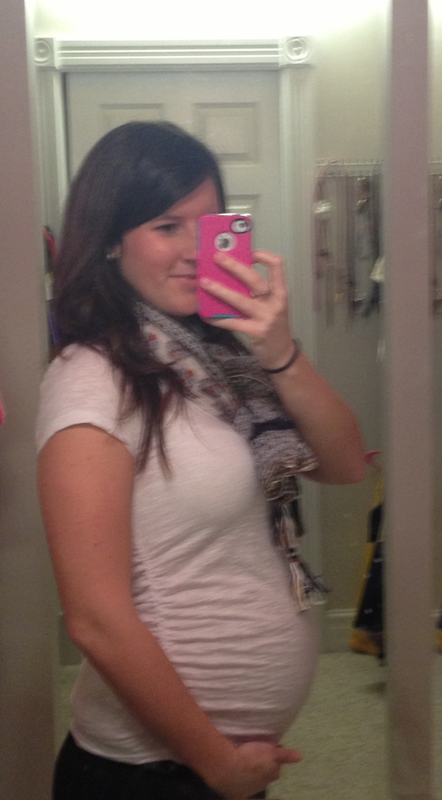 I hear that third trimester is where it starts to get uncomfortable, so let's hope it goes well!